Do you find yourself covering your mouth when you smile? If you have broken or missing teeth, you may be too self-conscious to smile for photos with friends and family. There are many options for restoring and enhancing the appearance of your teeth. At Woonona Dental we have all the options you need to enjoy better oral health. A crown is a full coverage restoration that is used on badly damaged teeth, teeth that have had a root canal or have large restorations (white fillings). Crowns are made of a porcelain material allowing it to blend best with other teeth. A crown can make your teeth stronger and improve your appearance. 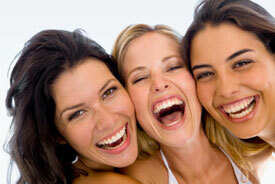 Most crowns last for several years with proper oral hygiene and preventive dental care. Crowns can also be used in conjunction with a dental implant or bridge to replace missing teeth. A dental bridge is made up of two or more crowns bonded to an artificial tooth in the middle to replace multiple missing teeth in a row or a singular tooth. It is made of tooth-colored materials to match your other teeth. Bridges can also be placed on top of dental implants to replace up to 4 or 5 teeth at one time. Because crowns and bridges represent an investment in your oral health, you want to help ensure that they last for a long time. That’s why it’s essential to practice good home care including brushing with a soft toothbrush and flossing gently. You don’t have to settle for a less-than-sensational smile. If you have one or more missing teeth and want to restore your smile, we can help with crowns and bridges. Book an appointment at our Woonona Practice! We offer Saturday hours for your convenience!